Early Birthday Gift From My Man! I have been extremely fortunate in many ways in my life but I think what I am most thankful for are family, friends and my other half. Regardless of how insane some of my ideas, goals or dreams have been-they have supported my crazy aspirations. In some cases… when I have thought something was crazy and impossible-my family, friends and man have surprised me in INSISTING I could not only do the seemingly impossible-I would crush it. For awhile now I have gone back and forth about getting back into art. Should I? Shouldn’t I? I did really enjoy it most of my life… it was my sanity and escape. Not only was it my sanity and escape I was good at it… it came easy. I think everyone has that one thing that they would admit to being good at-something that just came naturally. For me, that was always art. 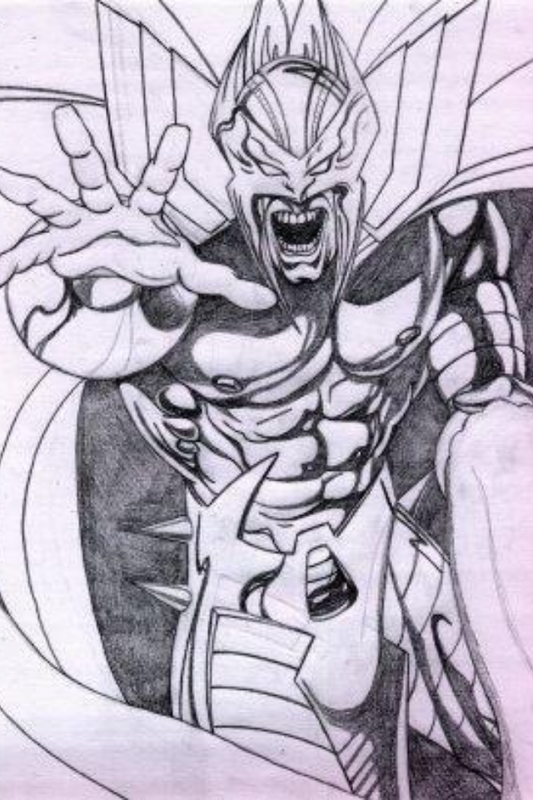 Long before I got sucked into the the paranormal black hole-friends, family and classmates knew me as an artist. I took great pride in that. Since high school, I have been on and off with it. For that reason, I have become a little rusty… with that comes frustration. Things that took me no time at all, take me double the time now. Although I know being rusty is fixable-it doesn’t stop me from getting annoyed. That said… let’s get back to friends, family and my guy who insist I can crush the “impossible”. My friends are just as amazing and I have made one in the last couple years, who has become a great mentor of sorts. My friend, Tim Gagnon is a professional painter who has become a good friend, source of encouragement and advice. If you haven’t checked his work out-please do. Then there is my other half. When you think of a life long partner, usually the last thing most want is someone who is eyeballing a career(s) that most would see as far fetched or impossible. Mine on the other hand, has been my number one cheerleader. He has been pushing me to get back into drawing and painting, encouraging me to get into it professionally. It’s an odd thing to feel insecure in a space I had always been confident in… but it also feels pretty damn nice to have people believe I can do it. Before my trip to Australia, I had decided I would focus on three things while I was here bugging my man. It is built sturdy, feels professional (not just some kiddy setup), I can set up and take it anywhere. I love that both the top and bottom arms can be adjusted to fit larger canvas, the drawer is perfect for brush storage while my paints are stored in a separate plastic bin. Most importantly… and I know this sounds nerdy… but knowing my man bought it for me is just another reminder that he believes I can do it and believes in my skill. 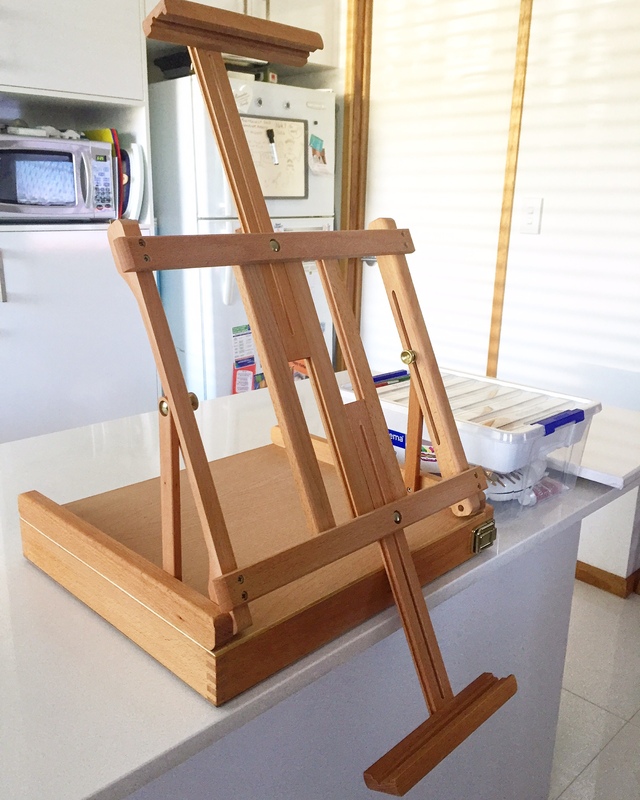 At the moment the easel is all setup on our kitchen counter with a stretch canvas… the sketch that I finished on it yesterday is staring at me, waiting for me to get started. Tomorrow the painting begins!! I look forward to introducing you guys to the real life, non-para, Kris Williams. Wish me luck as I venture into new-ish waters!! wonderful I can’t wait to see your work. Thank you Judy!! I am really looking forward to moving forward, beyond the para-giving you guys a look at the real me. The girl outside of the shows. 🙂 Thanks for hanging in there with me! Congrats on finding a man who will support you in your endeavors! I’ve had mine for 30+ years. Can’t wait to see your work. I can’t draw, but I can knit! Knitting helps keep me sane, and I love how the yarn flows through my fingers. Thanks for the postcard from Dubai! I was so excited when I got it! I’ve been showing it off to my friends at work. Can’t wait to see what you do! You’re a good friend too! Thanks for the mention 🙂 That’s the perfect gift to get going in the art world. I’m excited to see what you put together. It’ll be an exciting, fun, up and down, sometimes frustrating, but most of all rewarding journey. What a great gift! Can’t wait to see your art come to life! You will succeed at whatever you do! You have that charisma about you! Awwwww! 🙂 thank you, Ed!!! Hello from Australia, Robin! Thanks for the kind words. Kris, your God-given talent is calling you. Enjoy your art, and please share with your many supporters. Good luck, sweetie! 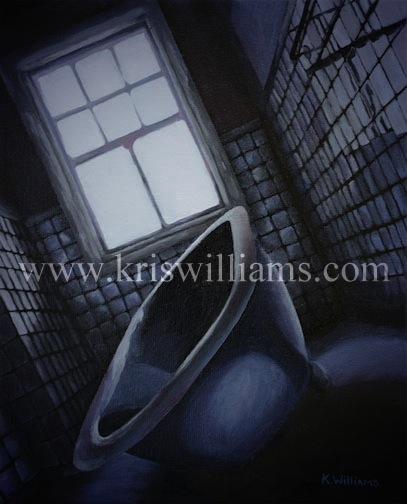 I was with you at Historic Fort Wayne when you saw the “bath tub room”. It’s amazing how you took that UGLY room situation and turned it into a beautiful piece of artwork. I’m so glad we are buddies. See ya soon. Be safe. Mikey!!!!! 🙂 Thank you!! So glad we are buddies too-how have you been, Mr?! I’m great! Always know that I’m praying for you as you travel. Can’t wait to see you again….hopefully soon. Charge On! Kris…you are definitely a fortunate woman to have a man stand behind your wants, needs and asperations! Those are hard to find these days and make sure you hang on to that one ! Glad to see you are getting back into something that makes you feel you!!!! 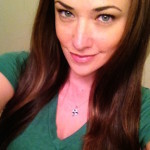 Now, with that being said…I sure do miss the hell out of seeing you in GH LOL. Good luck on all future endeavors!!!! Thank you, Shannon!! I’d have to say… I dont miss the hell out of it! Nice to be “home” not working vampire hours. Plus, I was more of a history lover, was never a para enthusiast. Not to say I didn’t enjoy the job, it just wasn’t me. Awesome gift, Kris. It’s amazing how powerful the love and support of those closest to us can be. Looking forward to seeing more of your art! What a wonderful, thoughtful gift! He sounds like a good man. I am an artist as well, and as I’ve gotten older found myself drawing less and less due to life in general getting in the way. These days it’s become a bit of a chore to draw, even though there are times I really want to. Arthritis is in my life now. No sob story, it’s minor (I’m lucky it’s not worse). It is enough so it prevents me from holding a pencil or brush over long periods of time however. This is especially frustrating since (as anyone who has drawn or painted knows) you get into the zone and can draw for hours on end. It wasn’t unusual for me to draw all through the night, going to bed as the Sun came up. Now the longest I can draw for is 20 minutes at a clip. This is why I’ve concentrated on my other love, photography. Thank God for that. So draw, paint, or dance while you can Kris! You never know when circumstances will change. That’s a great gift. Enjoy and use it well! Encouragement works wonders. My only advice, from one artist to another, is to do it for yourself. I understand art as a vocation, I’ve been there. But art is all about the experiance and growth, your experiance and growth as an artist. Its very nice to be aknowledged for your work by others, but first you have to blow your own mind. Stretch out and close your eyes sometimes. What you hear and sense around you will find its way in. When you do open your eyes you might be amazed at how vivid your creation is. Well, that’s how it sits in me anyway. Enjoy the gift. Explore with it. See what you’ll find. So great to see that artistic side of you coming out into the light. I think you need some new photos though so if you’re in Australia let’s do a photo shoot while you’re here. Plus, I have a few Doors stories to tell you including the recent reunion of John and Robby in LA. So happy for you. Everyone should follow their dreams and passions in life and to have a person who supports you in all this is the best gift of all. Looking forward to seeing your work, so relax and enjoy. Happy birthday Kris, Love the easel , it’s the perfect gift for you. What a GOD gifted talent you have !!! It’s a wonderful and Amazing thing to see all the love and support that you have in this. Can’t wait to see your work, I wish you the best in all you do!!!! GOD BLESS! !!! Beautiful gift. Happy early birthday. Can’t wait to see what you do with it. Have been a fan of your art since you started posting it. Enjoy! Any ideas on what you’ll paint? What type of paintings so you enjoy?